Garbine Muguruza finally won what is believed to be the latest-starting match in Australian Open history, edging Johanna Konta 6-4, 6-7 (3), 7-5 in an after-midnight marathon that began at 12:30 a.m. and concluded at 3:12 a.m. on Friday. A few hundred spectators dotted the stands at Margaret Court Arena, which has a seating capacity of 7,500. One woman took up three seats to herself for a bit of a snooze. 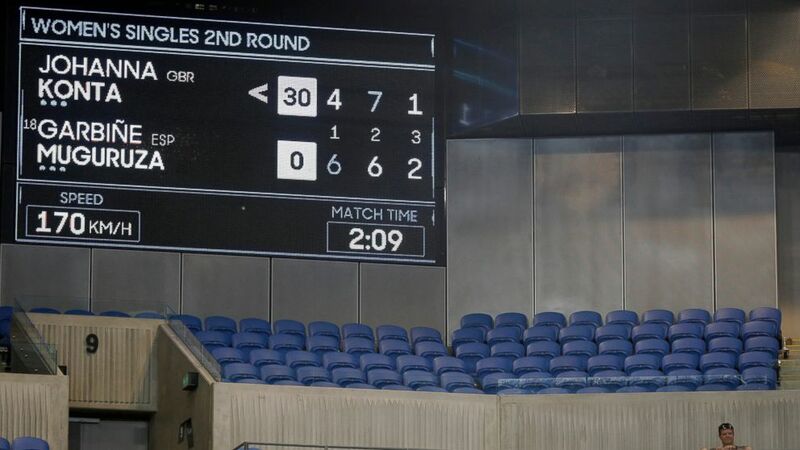 The second-round match was delayed because the day session ran longer than expected — Venus Williams needed three sets to win her match there — and the first contest of the night session was a men’s match that lasted five sets. Konta said there was discussion of moving her match to Court 3, but that the seagulls that dot the tournament grounds had left their, um, mark there. According to an Australian Open spokeswoman, Muruguzu and Konta were given the option of having Court 3 cleaned; it should have taken 15 minutes. But the players heard there was rain in the forecast, so decided to stay put, because Margaret Court Arena has a roof and Court 3 does not. The tournament said the previous latest start on record in Melbourne was 11:59 p.m. for a women’s match between Elise Mertens and Daria Gavrilova a year ago. The record for latest finish? That’s 4:34 a.m., for a 2008 men’s match between Lleyton Hewitt and Marcos Baghdatis. Muguruza, a former No. 1-ranked player who is seeded 18th, managed to convert the only two service breaks of the match, including in the last game. Asked afterward what she planned to do, Muguruza had a simple plan: breakfast. The biggest beneficiary of the timing of it all might very well wind up being Timea Bacsinszky, the Swiss player who will face Spain’s Muguruza on Saturday for a spot in the fourth round. Bacsinszky’s victory on Thursday ended more than 10½ hours earlier than Muguruza’s win did. Big 12 breaks out in NFL, can Saints top Chiefs-Rams totals? November 22, 2018 Comments Off on Big 12 breaks out in NFL, can Saints top Chiefs-Rams totals?